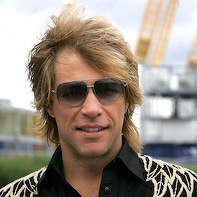 NBC Universal will have rocker Jon Bon Jovi all to itself as part of an unprecedented arrangement that will enable him to tout his new CD on a variety of Peacock "platforms," including the NBC Nightly News. Announced Thursday, the "Artist In Residence" partnership extends over "the next two months," according to an initial report in The New York Times. But NBC Universal didn't specify a time frame, other than saying the deal "coincides" with the Nov. 10th release of The Circle. Bon Jovi and his band won't be appearing on any other networks until at least Nov. 25th, when a climactic concert performance is set for NBC's Today show. As part of its "Bon Jovi Month," the No. 1-rated network morning show also will welcome the singer and his band on November's three previous Wednesdays. NBC Universal says it's offering "the opportunity to promote The Circle to a broad, diverse audience that cannot be matched in the industry." Bon Jovi's advertisements for himself will extend to Brian Williams' NBC Nightly News, according to the announcement. That's a highly questionable gambit in which selling a CD is deemed newsworthy in deference to an overall corporate strategy. Williams really should draw a line in NBC's quicksand on this one, even if Bon Jovi's appearance on Nightly News reportedly will be tied to the singer's "philanthropic work." Other announced venues include The Jay Leno Show, The Tonight Show and an appearance on Bravo's Inside the Actors Studio, where Bon Jovi will be the "featured guest" despite having never starred in a movie. He'll also tape a public service spot for NBC Universal's long-running "The More You Know" campaign. And his band's music will "be heavily integrated throughout NBC's network and cable programming," according to the publicity release. Perhaps he can play Hardball with Chris Matthews, too. And what about Meet the Press? Those programs so far are unmentioned in NBC Universal's far-flung Bon Jovi-thon. 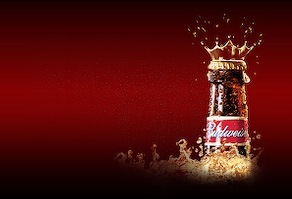 ***On firmer ethical ground, NBC Universal also announced Thursday that Anheuser-Busch and its new Bud Light Golden Wheat brand will be the sole sponsor of the Oct. 17th edition of Saturday Night Live. Keith Levy, Anheuser-Busch's VP of marketing, says in a statement, "We were looking for a unique way to highlight Bud Light Golden Wheat's launch, and the opportunity to integrate the brand into Saturday Night Live was one too good to pass up. During the episode we are able to incorporate Bud Light Golden Wheat authentically as part of the show's content, offer at-home viewers unprecedented backstage access during regular commercial slots and, at the same time, generate talk value among contemporary adult beer drinkers." The announced host of the show, actor Gerard Butler, perhaps can be expected to develop a sudden fondness for Bud Light Golden Wheat. Not sure, though, if musical guest Shakira can be believably positioned as a beer drinker.